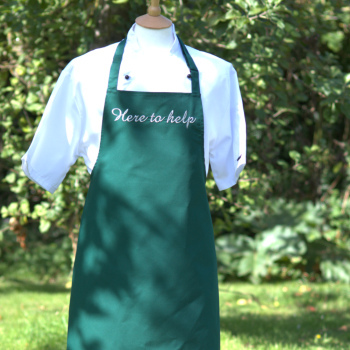 Hunter Green Personalised Apron with a name, initials or little message monogrammed to make a truly special gift. At Amys Gifts we do all our own embroidery work especially made to order and do our best to get most orders dispatched within approx. 48 hours. Any queries or special requests please email us.